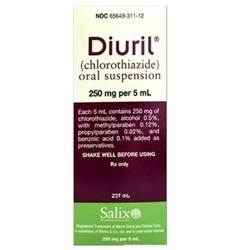 Diuril Chlorothiazide oral suspension 250mg/5ml, in an 8 oz. bottle. 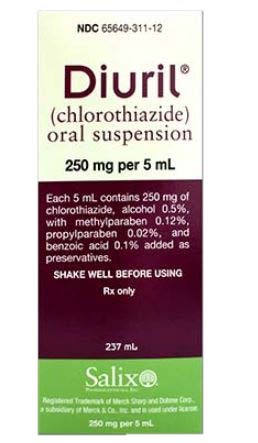 Thiazide Diuretic. Manufactured by Salix Pharmaceuticals. NDC: 65649-0311-12. Comes as singles.